Charleston, SC: 3 Things You Must Do. — Hannah. 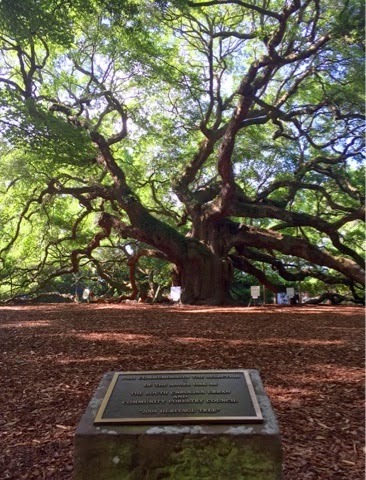 Charleston, SC: 3 Things You Must Do. We've now been home 3 days and I think our life might be back on track. I won't say it was easy getting up to the 5am alarm to begin our Monday this morning - but we are grateful to have a life where going back to "reality" isn't so bad. The past few days have been so wonderful catching up with family & friends. From the moment we woke up Friday morning we've had numerous visitors at the house saying "Hi! ", updating us on their weeks, them asking about ours, etc. and had dinner/lunch out with some of our peeps, too to catch up. We are blessed and are reminded of that constantly. 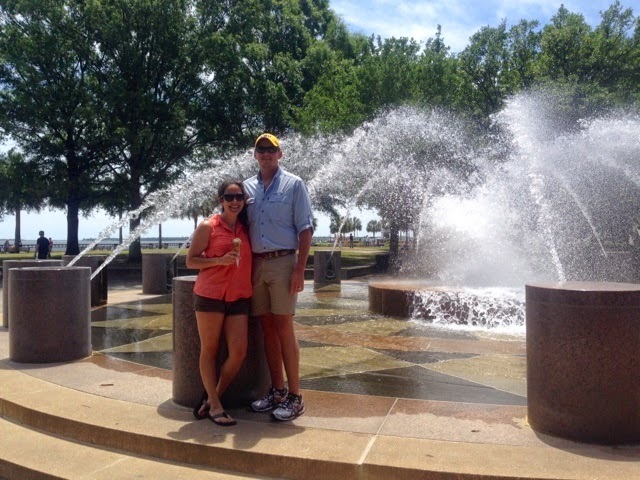 Before I forget the memories - which is always likely - I wanted to share our trip to Charleston! From Hilton Head Island, I'd say it was maybe a two hour drive? The drive was so beautiful that the time passes quickly. I won't do a minute by minute overview, but I did want to share the things I would absolutely do again if we get the chance to go back. 1. 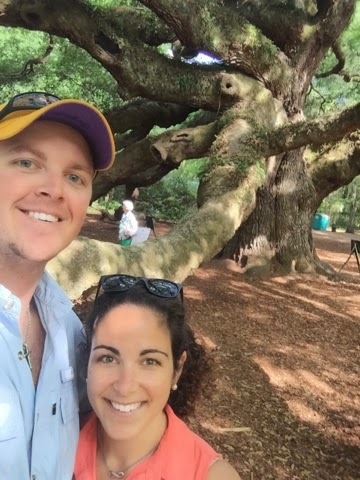 Stop at the Angel Oak along the way. 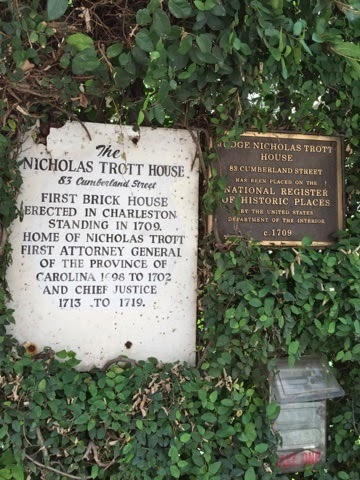 Granted, this is not in Charleston per-say, but is within a 20-30 minute drive and it is SO worth it. There are benches/tables around the tree's area to sit and enjoy. There is no cost involved, just the time it takes to get there. We were stunned and the beauty of what we saw. How amazing is this? So grateful we decided to make the drive. 2. 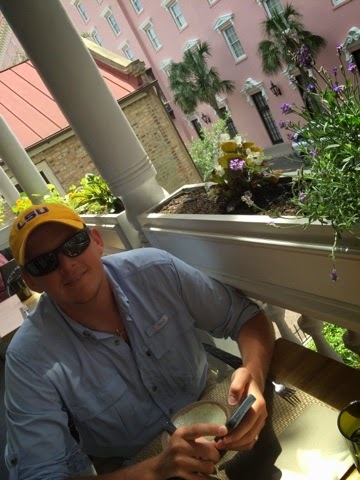 Eat at the Husk. Do it. TRUST ME. This restaurant was recommended to us by one of our amazing neighbors who is from the Charleston area. The atmosphere and experience alone is worth it, but the FOOD is AMAZING. Especially the corn bread ... and the fried chicken .. and the ... just kidding. When the weather is spot on (like it was the day we visited) go right when it opens, but don't make a reservation! Worst case scenario, you'll have to wait a few minutes and take in the city that surrounds you. The majority of the visitors were there on reservation based on the popularity of the place, but save the balcony on the second floor for walk-ins since they can't guarantee the weather. We were seated right in the middle of the balcony, over looking Queens Street. It was just beautiful. Yes, this place is very busy, but with the layout of the restaurant and the friendliness of the staff - you don't feel that at all. 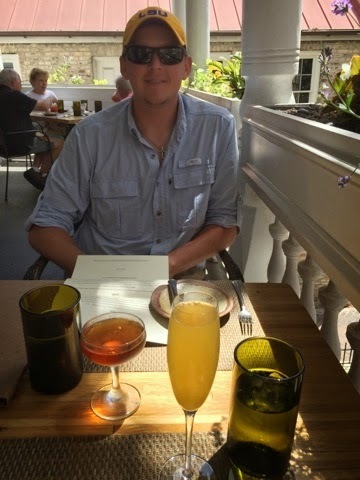 Be sure to sip on mimosas (or Manhattans) and enjoy EVERY minute you are there - you won't want to leave. 3. Drop the Guides, the Reviews, and just WALK THE CITY. Start near the water* and just walk the streets of the city's grid and take it all in. 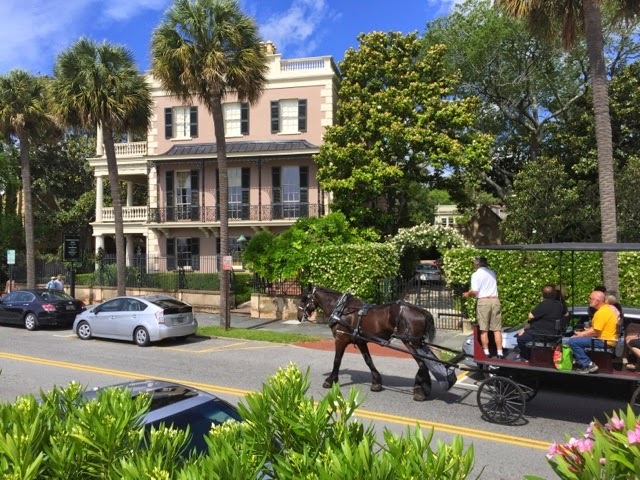 There's no review or guided tour that can truly give you the feeling of embracing Charleston's charm. 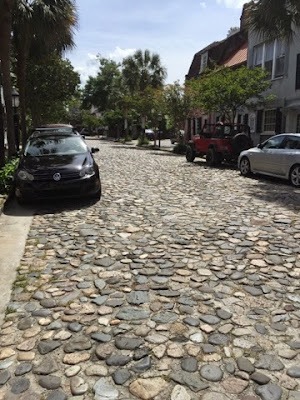 The trees covering each street, the history noted on some of the privately owned homes, the stone streets, the steeples that tower over buildings. Just take it all in. It's gorgeous. *We started a walk's distance from Waterfront park and just meandered into the grid. I'd highly recommend the gelato shop near the water fountain. YUM.